As a homeowner, we know you’re constantly searching for ways to make your home more environmentally friendly and sometimes it can be a bit overwhelming. Well, search no further, because the answer is right in your backyard! There are so many easy and fun ways you can create a positive impact on the planet while eliminating a few tedious chores in your yard at the same time. 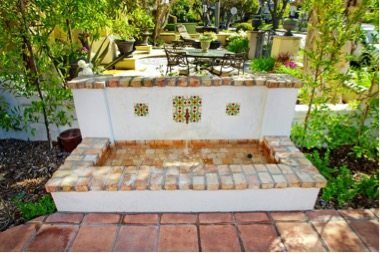 One of the keys to an environmentally friendly backyard is to conserve water. Though things are looking up for California’s drought crisis, it is up to us to continue to make smart choices about the way we use water. 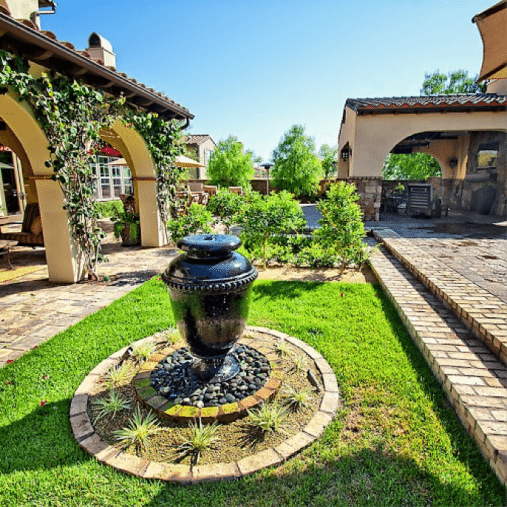 The best way to do this is by choosing a landscape design that will minimize water usage. Perhaps install a waterfall or fountain, just make sure that the water being used is recycled. Teserra Outdoors has a variety of beautiful water feature designs that implement water recycling systems. 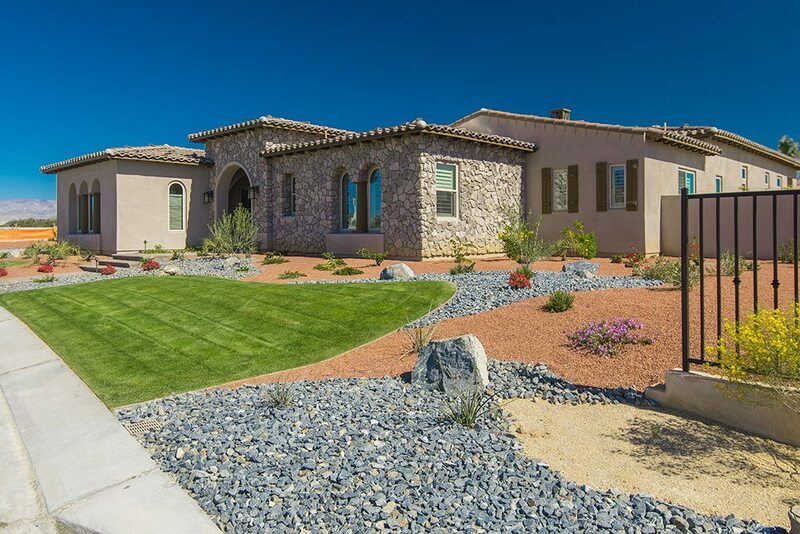 You can also choose a desert landscape design that utilizes paving rocks and stones, no water necessary! Place these stones along with some shrubbery to create a beautiful small garden retreat or walkway. 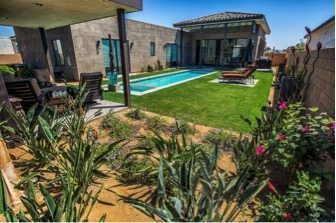 A low-maintenance garden can still create a subtle beauty to your desert home and eliminate tedious chores, like watering and mowing your lawn. Another important component to an eco-friendly yard that you should consider is artificial turf as opposed to natural grass. Synthetic grass truly emphasizes a low-maintenance lifestyle and offers SO many benefits to homeowners. With synthetic grass, you can say goodbye to using chemical fertilizers, herbicides, and pesticides that come with maintaining real grass. You can also say goodbye to hours wasted on mowing, weeding, and watering your lawn. With Celebrity Greens from Teserra Outdoors, you get a combination of superior design, the highest quality artificial turf, and expert installation to deliver the look, feel and speed of natural grass without wasting precious water. With the help of Teserra Outdoors, you can achieve a low maintenance and environmentally friendly backyard without sacrificing enjoyment. 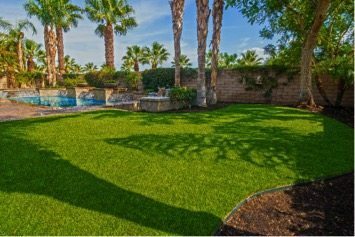 With the combination of drought-friendly plants, desert landscape designs, and synthetic grass, you can save big on money, time, and frustration while still achieving your dream backyard. Plus, you’ll score some major brownie points with Mother Nature! Fall is for Fire Pits!